Life’s Tough, Get a Helmet. « I Graduated… What Now? Life’s Tough, Get a Helmet. 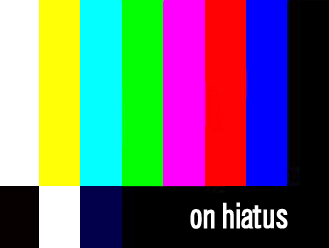 Frustration coupled with distraction is to blame for my recent job-search “hiatus”. I must admit, for every ounce of me that pines for a break-through on the job front, another ounce counters with gratitude for a flexible, low-responsibility lifestyle. Honestly, how much rejection (or worse; neglect) can one endure from the business world before it takes its toll on our motivation? Is it wrong to weaken to the current job market and let our hair down for the duration? Lately, I have spent less of my free time dwelling on possible job options, and more time on what I enjoy, which I feel is ultimately contributing to my future success: helping, socializing, and working. I am helping my friend, Rob Coats, market his brand online (check out his new book- Connect and Grow Rich!). Meeting with him once a week feeds my creative fix, enlightens me on new ideas/ different views, and allows me the opportunity to sharpen my social media skills. Socializing keeps me connected to others (you never know who you will come across! ), open to different things, and happy. Work obviously pays the bills. I am glad to report that a few prospective job opportunities have arisen in the past few weeks. Sometimes opportunities are right in front of you. I think taking a step back allowed opportunities to surface that otherwise may have gone unnoticed. I am not suggesting anyone out there looking for a job right now should give up entirely. I am merely stating that it’s OK to be OK with where you are right now. Cut yourself some slack, have patience, and let tomorrow worry about tomorrow.